If you like honey this shop sells just about every flavour of honey you can think of, for example, rosemary, flowers, euclyptus, lavender, and many others. They also sell small ornamental gifts and many health and facial products from Aloe Vera. To find the shop, drive through the main small street of Jalon, continue for about 200 metres and the shop is on the left hand side. 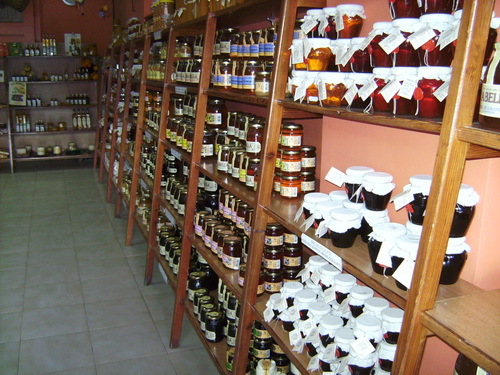 Have a comment on Honey Shop Jalon? Every Saturday from 9.0 a.m. until 2.0 p.m. there is a car boot sale at the Vergel Safari Park. The Safari Park is situated just past Ondara – turn left on the N 332 driving north. Have a comment on Vergel Car Boot Sale?